I felt physically jolted by genius. A new edition of Clarice Lispector’s final masterpiece, now with a new translation by Benjamin Moser and a vivid introduction by Colm Tóibín. 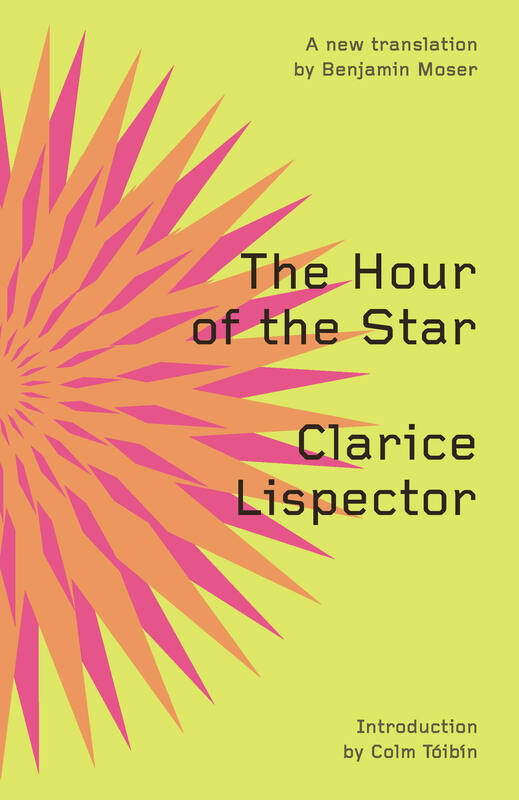 The Hour of the Star, Clarice Lispector’s consummate final novel, may well be her masterpiece. Narrated by the cosmopolitan Rodrigo S.M., this brief, strange, and haunting tale is the story of Macabéa, one of life’s unfortunates. Living in the slums of Rio and eking out a poor living as a typist, Macabéa loves movies, Coca-Cola, and her rat of a boyfriend; she would like to be like Marilyn Monroe, but she is ugly, underfed, sickly, and unloved. Rodrigo recoils from her wretchedness, and yet he cannot avoid the realization that for all her outward misery, Macabéa is inwardly free. She doesn’t seem to know how unhappy she should be. As Macabéa heads toward her absurd death, Lispector employs her pathetic heroine against her urbane, empty narrator—edge of despair to edge of despair—and, working them like a pair of scissors, she cuts away the reader’s preconceived notions about poverty, identity, love, and the art of fiction. In her last book she takes readers close to the true mystery of life and leaves us deep in Lispector territory indeed. This text investigates the knowledge of not knowing and the rich poverty of the inner void with stratagems of obfuscation, leaps of language, and suspensions of syntax and form that are perhaps best received by the gut. One of the most audacious and affecting works of fiction I’ve ever read. A new translation of The Hour of the Star by Lispector’s biographer Benjamin Moser reveals the mesmerizing force of the revitalized modernist’s Rio-set tale of a young naïf, who, along with the piquantly intrusive narrator, challenges the reader’s notions of identity, storytelling, and love. The only antidote to stupidity is an agitated intelligence constantly prowling for blank spots in one’s outward seeming. The Hour of the Star is a romance, then, between stupidity and its neurotic observer, a restless stretching away from form, tradition, and the stupefying rules they impose on writing.